Henley Honda | Vehicle Safety | Do you really need winter tires? Canadian winters can be, in a word, brutal. With the snow and ice that’s just around the corner, it’s time to start thinking about how to stay safe on the winter roads in the soon-to-be frozen Niagara Region. Snow tires — now being more commonly called cold weather tires — help keep your vehicle in control when you can’t control the weather or road conditions. No matter if you’re driving a Civic, Odyssey, Pilot or anything else, you’ll find that four cold weather tires will make a huge difference in how your vehicle handles when the temperature plummets. As soon as that thermometer drops below 7°C, your all season tires aren’t doing you any favours. The rubber in all season tires starts to lose its elasticity and hardens and that means less traction. Winter tires are made to keep that elasticity when the weather gets icy, maintaining traction on roads and that short stopping distance you’re used to in warmer temperatures. 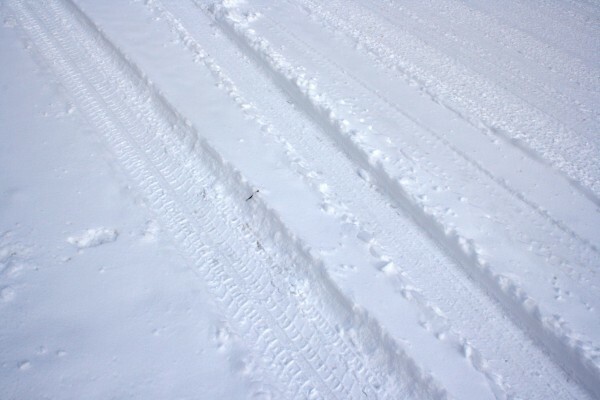 Cold weather tires also have specially designed treads made for snow. These treads will grip snow without becoming packed with it, keeping you — and not the winter roads — in control. Of course, safety does come with a price, but it’s worth it. Don’t try to get away with the minimum. If you plan on keeping your vehicle for any length of time, you will likely invest in two sets of tires anyway. If you purchase your winter tires now and use them for five months of the year and then use your all-seasons for the remainder of the year, you’ll extend the life of both sets. And speaking of sets, you need four winter tires. You want to be 100% safe while winter driving. And to be 100% safe, you need 100% of your cold weather tires. Having only two tires can cause fishtailing and loss of control, which is what you are trying to avoid. Now that safety is in the forefront of your mind, why not check out what else Honda has to offer in safety features? Click below to book your Dynamic Test Drive and see just how safe you are in a Honda vehicle!